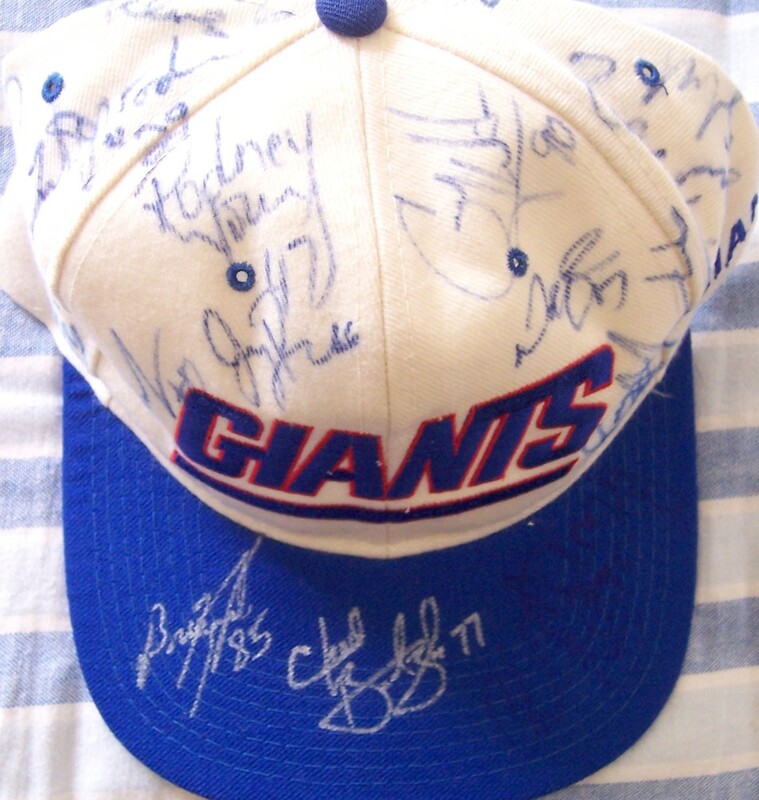 Blue and white New York Giants embroidered cap autographed by 22 members of the 1996 team including head coach Dan Reeves and general manager George Young (died in 2001), plus players Ray Agnew, Chad Bratzke, Dave Brown, Howard Cross, Brian Kozlowski, Thomas Lewis, Arthur Marshall, Aaron Pierce, Jerry Reynolds, Brian Saxton, Adam Schreiber, Ben Talley, Corey Widmer, Tito Wooten, Rodney Young, Rob Zatechka and four more who are unidentified. Obtained in person at the team hotel in Dallas. With certificate of authenticity from AutographsForSale.com. ONLY ONE AVAILABLE FOR SALE.